Honey is bottled & READY! First come first serve… I’m going out of town beginning Sunday, so I will sell what I can from the house till Saturday & the rest will be stocked at Red Oak Lavender Farm! Literally! I have been busy as a bee! First the Roswell Lavender Festival, then my mom’s Open House at Red Oak Lavender Farm, then a 2 hour presentation at the Ladies Homestead Gathering of Dawson/Forsyth meeting! I also have created/reared 4 queens and got them situated in their new hives! So, I have had no time to check on my little ladies until last night! I was able to harvest 13 frames of honey and quickly checked on the hive quality. All is well with my ladies, they seem to be doing a great job all on their own – as they should! But I caught some great pictures of them cleaning up some spilled honey! Tonight I will be extracting once more! I have some previous orders to fulfill, but once I have met those, I will be taking reservations once more! 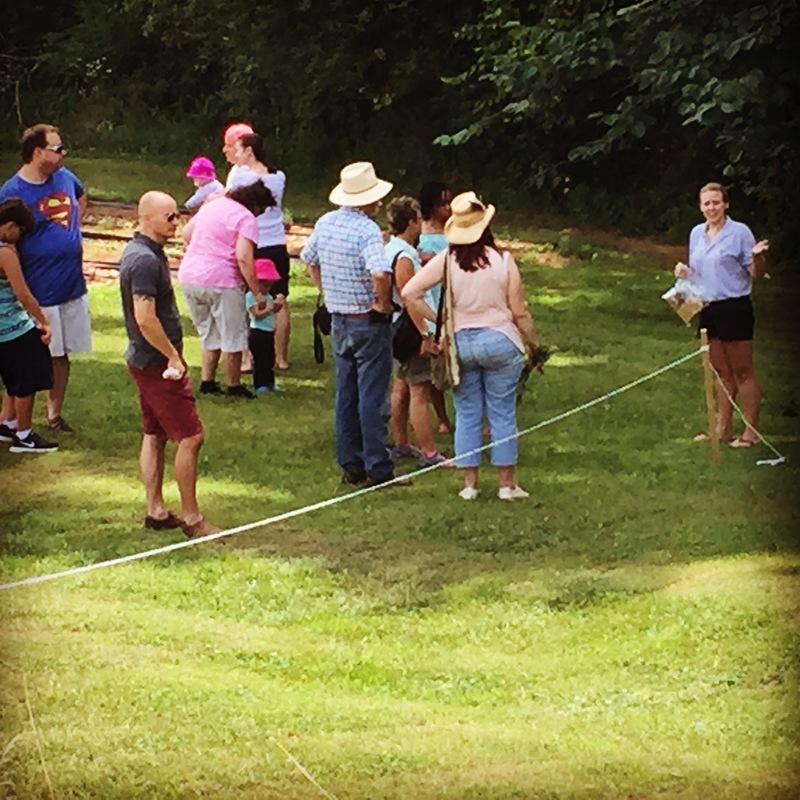 I would like to thank ALL who came out to the Lavender Farm this past Saturday! We had such a blast meeting everyone & feel so blessed to know that our neighbors support us as a local business! 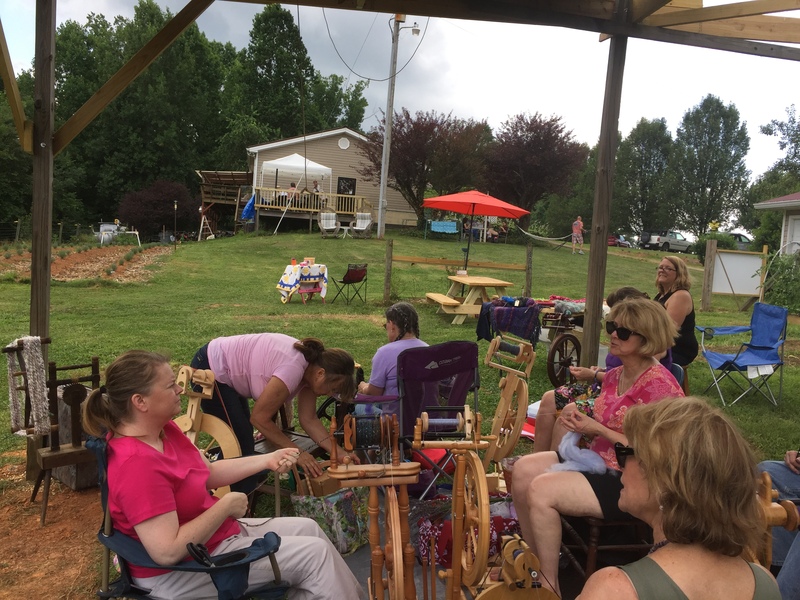 I believe everyone enjoyed the Faires Musicians, Lavender Ice Cream, the Spinners Guild, cutting Lavender Bouquets, not to mention my Bee Tours! If you missed the Open House, you will need to come out to the next one in 2016! We’ll have the Spinners & Faires Musicians again! We will definitely have more for you and your family next year! Looking over the Spinners Guild & Faires Musicians with Lavender Fields! What would you like to see for 2016? Go here to vote! 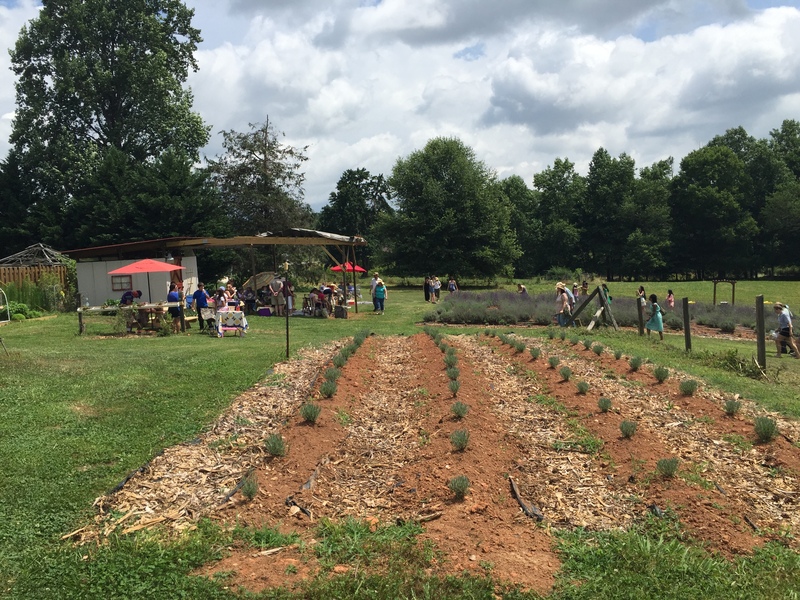 Tomorrow (Saturday 06/20/15) from 10am to 5pm, we will have Red Oak Lavender Farm open to the public!! We will have classes on how to make lavender wands and halos, farm tours, how to care for lavender & best of all I will be giving beekeeping Q & A! Additionally we will have the Georgia Mountain Handspinners Guild spinning yarn & Faires Muscians (part of the Atlanta Symphony Orchestra)! Come on out! So I tried my hand at bee photography this afternoon. I will tell you that it was more difficult than I thought! These little ladies are constantly on the move, that the moment the camera can focus she flies off! However, I was able to get a few good shots of them in action! What do you think? Pictures were taken with Nikon D3300 on the auto setting since I am still working with the camera to learn how to work the manual options. Not to mention that I am in dire need of a ‘up close and personal’ lens! But one step at a time here, I mean I am trying to pay for a trip to Machu Picchu! But we are going to have one killer camera for that trip! First I’d like to start off with a big shout out to the Forsyth County Beekeepers Club!! All of the members did an amazing job with putting this class on and teaching everyone about queen rearing! Swarm Cells: are going to be towards the bottom of the frame and are usually created because the hive is crowded, but are great for requeening! Supercedure Cells: are created by the little ladies because they know/sense something is wrong with the current queen and can be found towards the top of the frame. Emergency Cells: is a smaller cup found randomly throughout the frame, ready for an emergency. This is not ideal for requeening. Queen rearing allows a keeper to speed up the process of natural queening. If a keeper chooses to naturally rear a Queen, he/she would lose both time and honey. So, there are 3 main ways to rear: Cell Punch, Hopkins Method & Doolittle Method. Cell Punch: is exactly the way that it sounds. You punch one of the cells out of the frame with a cell punch tool. There is no grafting necessary and is not a popular method. Hopkins Methods: another non-graphing method is where a beekeeper drawls lines across the cells and then lays the frame horizontally across the top of the brood box, this then allows the little ladies to create queen cells. This method is also not preferred because the queen cells are very messy! Doolittle Method: is definitely the most preferred method of all. You can either use a master grafting tool, the hook grafting tool, an artist brush, toothpick, goosequill, or most popular the Chinese grafting tool. With this method you would remove the larvae and the royal jelly from a cell and graft it into a queen cup. The most ideal larvae are anywhere between 4 to 6 days old. Once grafted, allow the ladies to nurse the new queens in a swarm box for about seven days. A swarm box should have at least one pollen frame, one honey frame, one feeder, one drawn comb, and one empty frame with all of your queens grafted into the frame within the bars. Right before the queens hatch, they will need to be transferred to a hive of their own. But introduce slowly (queen cages) so that the other bees accept her. Now it was our turn to try and graft our new queens! We used the newer Chineese Grafting tools and plastic queen cups! Update 06/07/2015: ALL 4 of my Queens survived! So I am grafting the 4 queens into 3 nuc boxes! 1 I am giving to my neighbor, and the 1st nuc will have 1 Queen & the 2nd nuc will have 2 Queens (may the odds be ever in her favor)! I am breeding the Queens with a club member’s drones on his property and should be able to pick up in 2 weeks (give or take)! Updates to follow!